The first rule of buying at auction is to do your research, because being an informed buyer is your responsibility and gives you the best chance of getting what you want at the right price. Take advantage of the auction preview which will give you time to evaluate and inspect the property. After your research and you have had the opportunity to inspect the farm, it is time for you to formulate a reasonable maximum bid. This reasonable figure is the maximum amount of money you decide you want to spend. Having this number in mind during the actual bidding will help you to stick to your budget guideline. This is where your research can be helpful in understanding the current market prices. Talking to local agents can provide insight on current market trends and reasonable sale values realized. Another useful tool is the internet which will allow you to find the current sale prices and historic prices. Price can also be guided by potential for income whether that be from the addition of a modern efficient dairy or it’s ability to produce feed for stock or sale. An important factor of course is the property’s water allocation and efficiency of irrigation systems. Clearance sales are often held after a property sale has taken place and the previous farm owner needs to auction off machinery and equipment that was not sold with the property. They can be a place to buy machinery – trucks, tractors or even specialised harvesting equipment. 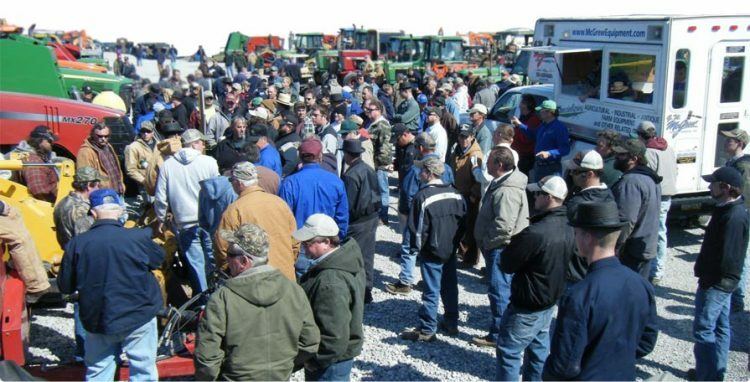 The farm clearance sale auction is also a popular place to buy incidentals relating to farming like fencing, drainage and irrigation pipes etc. at discounted prices.